As we all know — from dorm life, camping trips, or cooking while trying to move house — man can live on very few cooking utensils alone. But that doesn't mean a home kitchen, in the fullness of time, shouldn't have a wide variety of implements, so long as they're practical, durable, and versatile. Here are eight favorite kitchen tools we wield on a regular basis. #(clear n1). 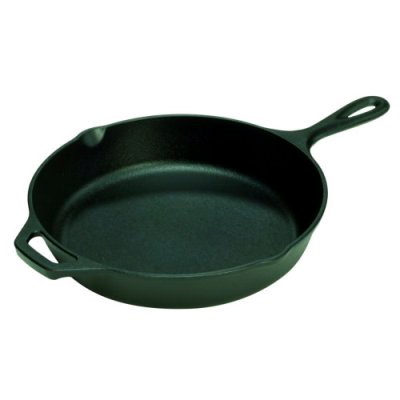 [%image cast float='clear right' width=200] [%amazonProductLink asin=B000FBUGDU "Cast-iron pans" newpage=true]. Forget newfangled cooking surfaces. Cast iron has been around practically forever, and with good reason: it heats quickly, evenly, and steadily, and it sears beautifully. Other winning qualities: it's inexpensive, not Teflon, and when properly seasoned, it's easier to care for than those grandkids you'll be passing it on to. #(clear n2). 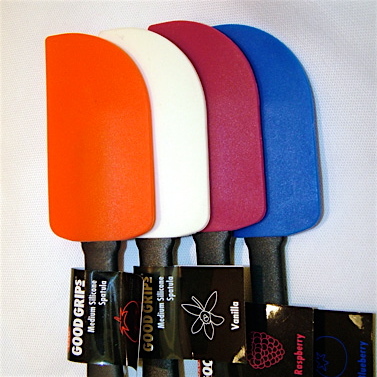 [%image spatulas float='clear right' width=200] [%amazonProductLink asin=B0006IVZ1E "Silicone scrapers, spatulas, and pastry brushes" newpage=true]. OK, so maybe we plumped for antiquity with our love for cast-iron pans, above. But silicone is a techie product that does what new products should do: improve upon the old. If you've ever tried to scrape, lift, or brush hot food with non-silicone tools, you'll know exactly what we mean. Because silicone is practically heatproof, you can apply it to hot foods without worrying that your tools will melt or ignite. That's progress. #(clear n3). 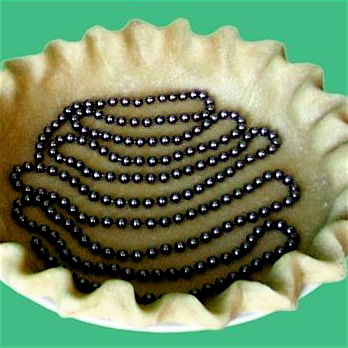 [%image pie float='clear right' width=200] [%amazonProductLink asin=B0000DDVQA "Pie weights" newpage=true]. In a pie-crust pinch, we've been known to toss uncooked rice or beans onto a bottom crust in order to hold it flat while we bake it. But then all those lovely beans or rice are, well, toast. Much better are reusable pie weights that you simply drop, bake, cool, wash, and stash for another pie-baking day. #(clear n4). 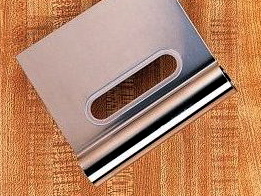 [%image scraper float='clear right' width=200] [%amazonProductLink asin=B00004OCNJ "Pastry scrapers" newpage=true]. If you bake bread, you probably already have one of these simple gadgets and rely on it for cutting dough and scraping pastry boards. If you don't, buy one anyway; it's excellent for scooping and moving anything chopped from cutting board to cooking pot. 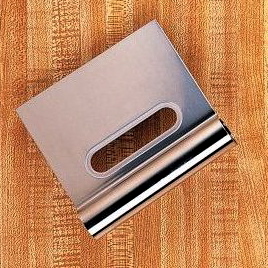 Scrapers, like long-handled tongs, are as useful in the home kitchen as they are in professional kitchens. #(clear n5). 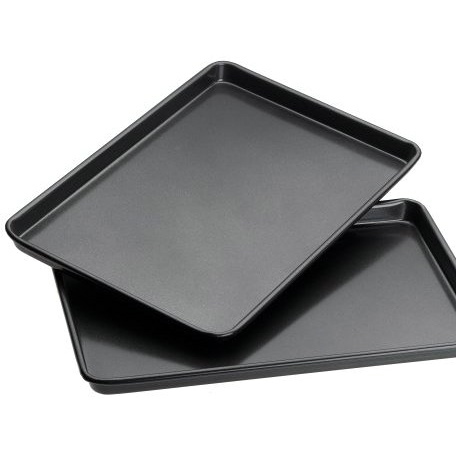 [%image pans float='clear right' width=200] [%amazonProductLink asin=B0000VLH1U "Rimmed baking sheets" newpage=true] are probably the most friendly baking sheet around. The rims make the sheets easy to grab from any angle, prevent food from sliding off, and will even hold a shallow layer of water for baking in a water bath. The half-sheet size (18 inches x 13 inches) is incredibly versatile; it's good for roasting squash and baking cookies, brownies, or focaccia. #(clear n6). 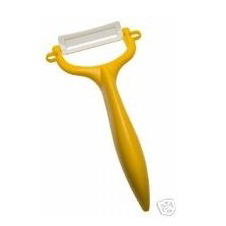 [%image peeler float='clear right' width=200] [%amazonProductLink asin=B000OZ6AYQ "Ceramic peelers" newpage=true]. The chief advantage of ceramic-blade peelers over metal-blade versions is durability: ceramic peelers stay sharp longer than metal ones, which have a tendency to dull and (aggravatingly) to rust. Just don't peel off a chunk of your fingernail by mistake. #(clear n7). 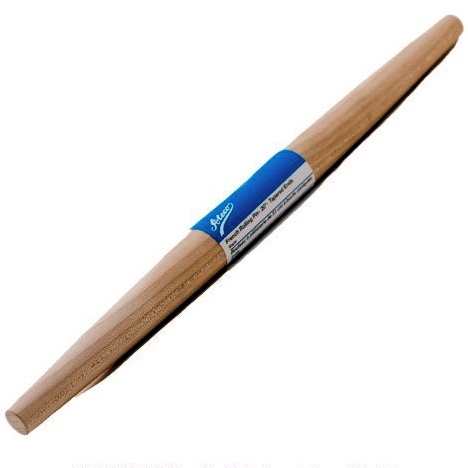 [%image pin float='clear right' width=200] [%amazonProductLink asin=B000UW1610 "Solid rolling pins" newpage=true], also known as French-style rolling pins, are nothing more than a single piece of wood (or metal, or ceramicware) shaped for rolling out dough. Why buy one? They're far easier to clean than conventional rolling pins, which like to pick up flour and dough and stash 'em in the cracks between the pin and its handles. Just be sure to buy one with a fairly even width along its length; if the pin is too tapered, you won't have enough surface area to roll out the dough. #(clear n8). 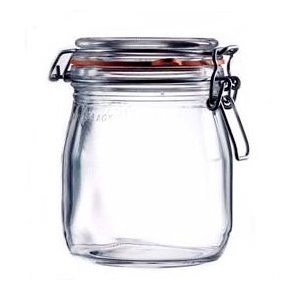 [%image jar float='clear right' width=200] [%amazonProductLink asin=B000V6W5YM "Glass snaplock jars" newpage=true]. You can keep pretty much anything in these, but we love them in the kitchen for two reasons: (1) they're airtight, so food stays fresher longer, and (2) they're clear, so you can see the food inside. Genius.